Moments after it was sold, the art ran though a shredder embedded in the frame. A work by the elusive street artist self-destructed in front of startled auction-goers Friday, moments after being sold for $1.4 million. 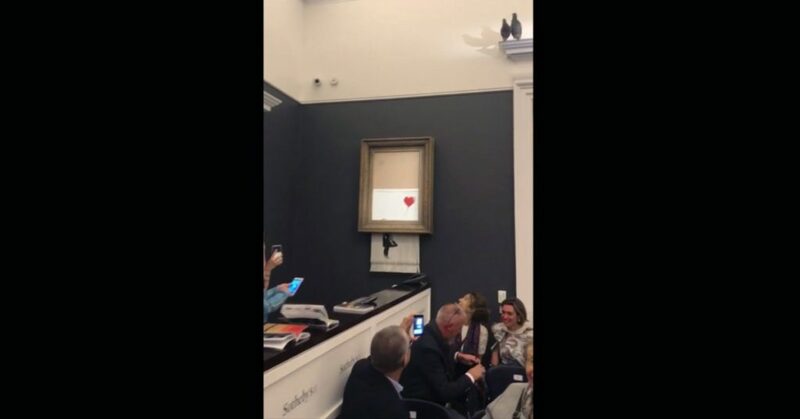 In an Instagram post on Saturday, Banksy claimed the dramatic artistic payoff had been years in the making.